The need to educate people in improving their health and preventing disease has never been greater, with the promotion of health and wellbeing high on the government agenda to address current health concerns. This means that there are more opportunities than ever before for health and wellbeing specialists, who are capable of engaging with communities to effect lasting lifestyle changes. The course develops a detailed understanding of health and wellbeing, providing knowledge of nutrition, diet, healthy choices, behavioural changes and techniques for lifestyle intervention. You’ll also be considering the key skills to put this knowledge into practice and how to operate as an effective practitioner and promoter of health and wellbeing within your community. The College considers a variety of qualifications and relevant experience, and each application is assessed on its own merit. To enrol on this course, you will require 48-60 UCAS points, from at least one of the following: A Levels, BTEC Nationals, Access to Higher Education Diploma, NVQ Level 3 or equivalent qualifications. Level 2 English and Maths are essential. 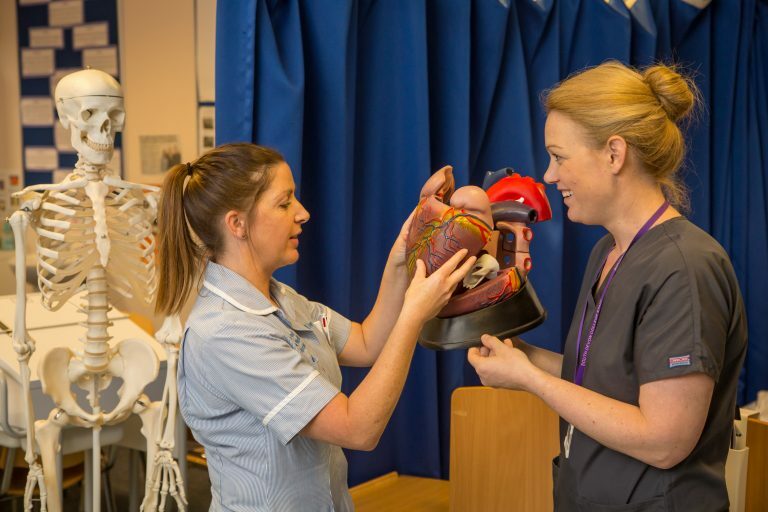 The course will be delivered by an experienced teaching team, who are themselves former or current practitioners in the field.UCSD enjoys a strong working relationship with the Torbay and South Devon NHS Foundation Trust, as well as various local community bodies, which will be utilised during your studies. The foundation degree will be available on a full-time and part-time basis, and will also include a distance learning option to ensure it is flexible around current employment and commitments. Each module is worth a specified number of credits: you take a combination of compulsory (and if available optional modules) enabling you to cover key subject knowledge while developing your own interests. For full time students a total of 120 credits will be studied in each academic year. This will consist of 6 modules. For part time students it will depend on the intensity of your studies. Timetables are normally available one month before the commencement of your studies. As a guide, In 2018/19 the first year of this programme was timetabled at on and off site locations on: Tuesday / Thursday. Upon successful completion you may be able to progress to the final year of the Bsc (Hons) Health and Fitness degree at the University of Plymouth, subject to meeting their entry requirements. Please note there is a deadline for progression applications and places may be subject to availability. Alternatively, you could explore employment opportunities in the local area. Because of the heightened awareness of the importance of health and wellbeing, and the increased promotion of preventative measures within national policies, there are more opportunities and pathways than ever before for specialists in this field.